If you own a company, factory, or are the administrator of a hospital or any other service company such as police or fire departments, then you understand the importance of ensuring that you will have power no matter what Mother Nature may have in store. With wind storms, heavy rains, tornadoes and more, power poles and lines can and will be destroyed. These disasters can leave thousands of people in the dark. The problem is that in these cases, communities look toward their fire, police and other emergency personnel to give them the help they need. Too many times, there will be families without electricity for days to come while the lines are repaired. This is where communities come together to ensure these families have fresh water and food along with a comfortable place to sleep according to the disaster that has hit the area. One of the most important factors for all of these agencies to have is a backup power via back up batteries along with other new and improved technologies. With backup power, the emergency personnel needed will be able to get the information of those in need and often save them from rising waters and get them to a shelter than has a back up electricity. Of course, some people have invested in such devices, but when it comes to businesses that offer all kinds of help to those in trouble including banks that are holding individuals hard earned money, having backup electricity is essential. When the light goes out, it is hard to believe and even accept, but the criminals come out as well. Too many times, offices, businesses, stores, and yes even banks have been broken into due to power outages. If you want to truly give your customers the trust in your help and your security, a backup system must be in place. One such company in Maryland that provides these services is Sure Power. The products you will find offered included Enersys Batteries, C&D technologies, DEKA, and power Battery Company. Services include battery maintenance, battery testing, UPS battery installation, along with removal, disposal and recycling options. If you prefer to rent, the company also offers standalone rental units, trailer mounted rentals, and custom battery systems along with battery chargers. 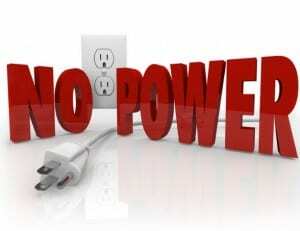 Do not let a power outage stop your business from working. Do not let patients become in danger due to no electricity to provide them with much needed IV’s or oxygen or allow your surgeons to try to do surgery by flashlight, when all you have to do is invest in a backup system that will ensure you have electricity when you need it instead of waiting on workers to repair lines. Some people’s lives may be dependent on electricity, give them the attention they deserve.